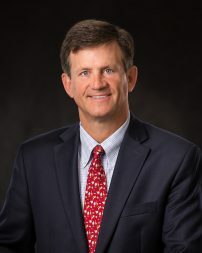 Robert C. Divine is leader of the Global Immigration Group of Baker, Donelson, Bearman, Caldwell, & Berkowitz, P.C., a law firm of over 650 lawyers and public policy advisors with offices in 20 cities in the U.S. including Washington, D.C.
Mr. Divine served from July 2004 until November 2006 as Chief Counsel and for a time Acting Director of U.S. Citizenship & Immigration Services (USCIS). He is the author of Immigration Practice, a 1,800 page practical treatise on all aspects of U.S. immigration law now in its Fifteenth Edition (see www.jurispub.com). He has practiced immigration law since 1986 and has served as Chair of various committees of the American Immigration Lawyers Association. Mr. Divine is extremely involved in EB-5 advocacy. He has served five years as Vice President of the Association to Invest in the USA (IIUSA), an association for EB-5 regional centers, and he frequently speaks on immigration topics and leads stakeholder discussions on EB-5. Under his leadership, Baker Donelson serves a wide range of legal needs for regional centers, developers, and investors, including immigration, securities, business, real estate, tax, and international. Mr. Divine’s practice includes all aspects of U.S. immigration law, representing large and small international and domestic employers, family sponsors, investment regional centers, and individual foreign nationals. He has also litigated significant business matters, including class action employment discrimination, contract, commercial, product liability, antitrust, ERISA benefits, business torts, and immigration-related civil and criminal matters. 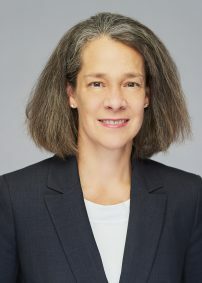 Jackie G. Prester is chair of the Financial Services Transactions Group of Baker, Donelson, Bearman, Caldwell, & Berkowitz, P.C. She offers extensive corporate, regulatory and securities experience to financial institutions, public company clients, and broker-dealers and investment advisers. Ms. Prester serves as securities counsel for company clients. Ms. Prester routinely advises companies raising capital through private placements of securities, as well as offerings registered with the SEC. Ms. Prester has specific experience advising clients on securities issues relating to the EB-5 Immigrant Investor Program.